Submitted by lynn on Wednesday, March 5, 2014 - 6:51pm. I received an email from Roy's Restaurant promoting an all night $6 happy hour menu for president's day so I decided to revisit. After a quick call to confirm they hadn't run out of food, I headed out to meet Dennis there. Once inside, I marveled at the newly expanded bar area at the front. There was a turquoise blue overcast and hanging lights that made me think of a starlit night. There were a couple of high bar tables, all occupied, plus a few seats at the bar itself, where Dennis was waiting for me. Dennis started out with a drink: Rye Me A River. This contained Templeton Rye Whiskey and a few other ingredients and he happily sipped on it while we looked over the happy hour menu. If you request it, they will bring you complimentary Edamame to snack on. I like the unique seasoning used at Roy's, which seems like a mixture of sweet and salty with a chili kick! For this visit though, it was inconsistently dispersed, with some sections having way too much and others with not much at all. 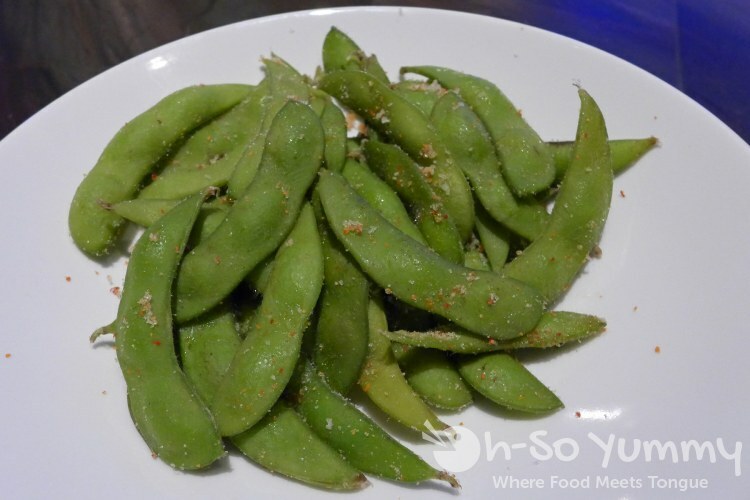 Still, this happens to be my favorite edamame at the moment. 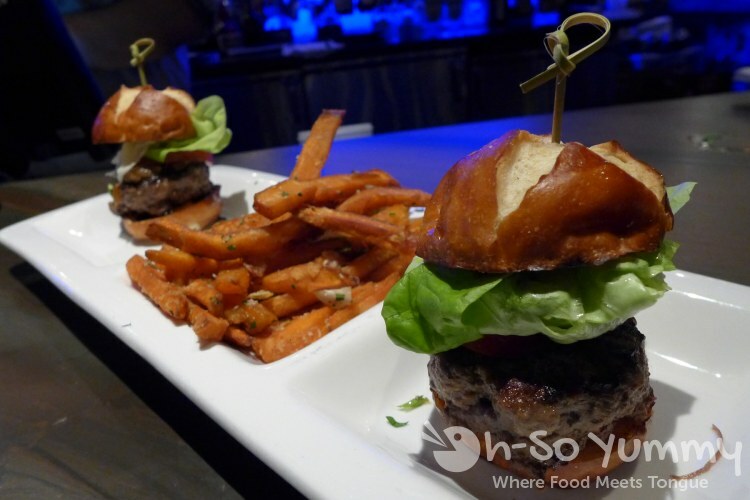 These were the Wagyu Beef Sliders, which even came with sweet potato fries! It's like a BONUS! We enjoyed the toasted pretzel bread that it came in and the juicy patties inside. The sweet potato fries were lightly salted and delicious. This was a good amount of food too so we'd definitely order this again, especially at the happy hour price! We decided to try both mini taco items on the menu. 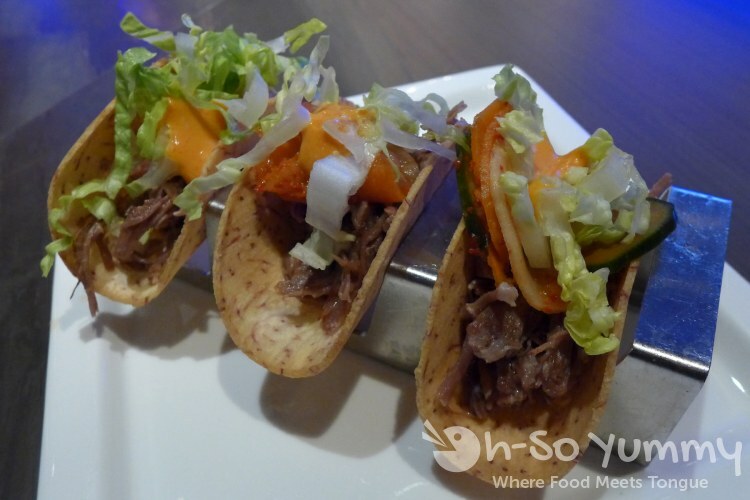 We received the Beef Short Rib Tacos first. The meat was moist and savory and was a decent taco overall. Too bad mini tacos always leave me a little hungry and wanting more! The Smoked Mahi Mahi Tacos came out afterwards. I was expecting more of a fish meat taco but instead they were 'tuna salad' style. These were a light creamy without the strong mayo taste although I didn't notice any smokiness per the name. It was very fresh tasting though with the pico de gallo on top. We preferred this one over the beef tacos. We also tried the Tempura Crusted Spicy Ahi Roll. This particular roll didn't really wow me either. It was very breaded and more on the oily side for me. Even though they had promoted the happy hour online, the restaurant was understaffed on this night and it took about an hour to get all the food. Our bartender apologized for the unusually long wait and comped the whole meal (excluding drink). Other than the wait, we had a good time and found what items we'd want to have again... those SLIDERS! They were almost a meal in itself, for a small appetite. 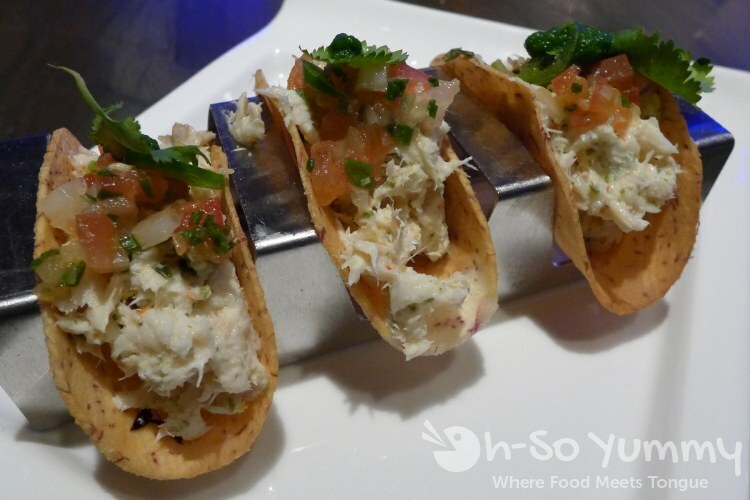 Add one other item like the mahi mahi tacos and you'd be good for the night while being wallet friendly. Otherwise, normal restaurant dining here easily runs between $30-50 per person. I'm on their email list so we get occasional coupon codes for $20 off your meal, which is helpful. I've been to this location for their HH in past. It's always SO packed and hard to find a table. When did they expand the bar area - I might have to revisit. The picture of the drink looks so pretty! I always found their sushi HH rolls to be 'meh' - just quickly made by someone who doesn't really wanna be there or something. The tuna salad tacos look awful . But, the sliders look great. That was nice of the bartender to comp the meal since it took so long. I don't know exactly when they remodeled but it must have been within the last year since I was there in January 2013. The sliders are my main draw here for happy hour. Too bad there aren't a couple more items to order at those prices. 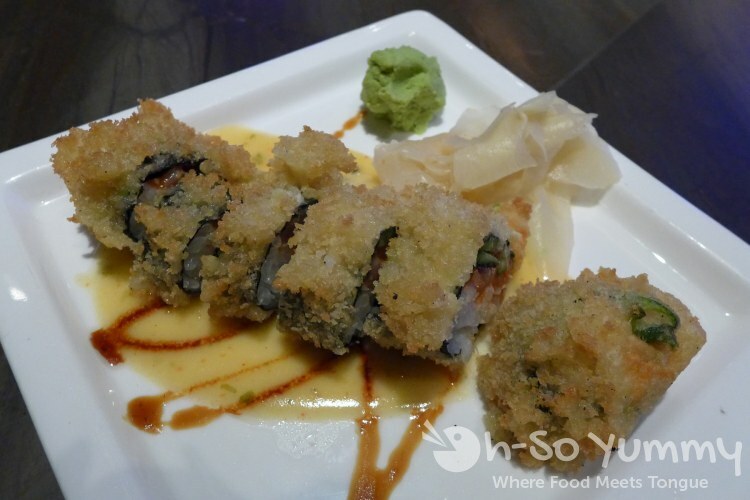 Roy's does have some tasty non-happy hour sushi that I've tried for about double the price! Pretzel buns are my new favorite buns so I was excited to see your sliders had those! And that happy hour price is a steal, especially for Roy's! I love the first photo here, with the blurred out lights in the background. So pretty. I love gourmet buns of any type. So much better than the regular ones, which I can buy myself! 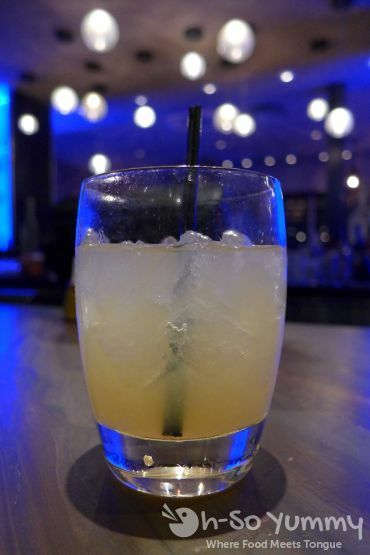 Some restaurants come out with gorgeous pics and some not so much. I wish they all looked that good though!